Chris Malta’s Wholesale Supplier Tip 16 tells you what the wholesale term “Net 30” means and explains when you can expect wholesale suppliers to extend “Net Terms” to you, as well as when not to expect them. Learn what you can do to increase your chances of getting Net 30 and how to use all the benefits of Net 30 to your e-commerce business’ best advantage. 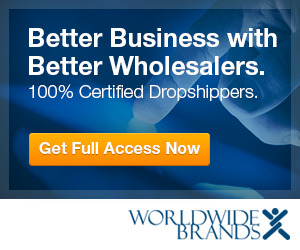 If you need products to sell online, you have to work with real wholesale suppliers and real dropshippers. However, wholesalers use their own industry language. So, to confidently approach them, you need to learn the wholesale terms and jargon they toss around. This allows you to make the most of your wholesale supplier relationships. Decode the most common terms that dropshippers and wholesalers will use and find out what they mean to your internet retail or home business.